FIRST OPEN HOUSE SAT Feb 9th 12pm-3pm and SUN Feb 10th 12pm-3pm. 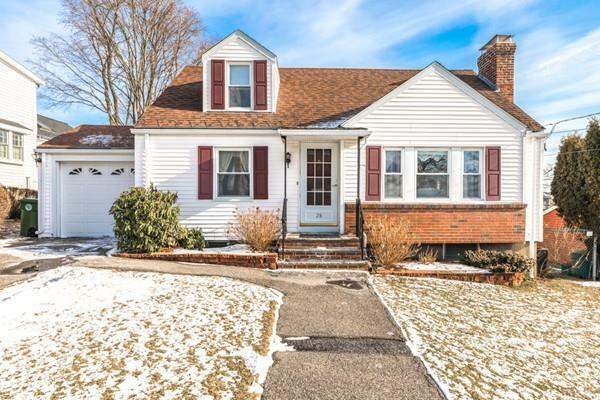 Impeccably well maintained Cape in desirable West Watertown location. This 3 bedroom, 2 full bath home is located on a quiet side street. Fireplace living room, hardwood floors, central a/c, garage parking and large fenced yard. New roof, new hot water tank, finished basement and new garage door. This is a commuters dream with easy access to Boston, Cambridge, Mass Pike and 128. Steps to Charles River Path, Restaurants, MBTA with Bus to Downtown Boston, Harvard and Central Square.